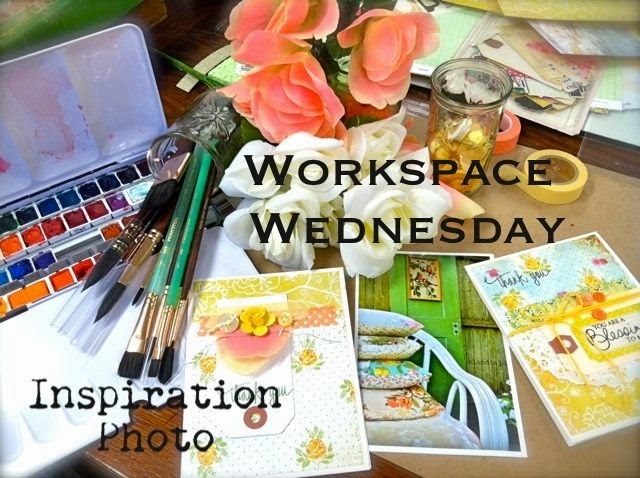 Today's Workspace Wednesday post is all about what's currently sitting out on my work table. After the girls' accident, I wasn't feeling very crafty there for a while. I can say though that just sitting at my work table and staring at my pretty things brought me some much needed peace. I think that when you surround yourself by people and things that you really love, life is just better. I've learned it's best to keep your favorite people and favorite things close to you.....the rest (people and things that clutter your life) can go by the wayside. So here's my workspace today. It's looked this way pretty much all week as I tend to work in spurts with certain products. I've been loving my watercolor palette and have recently acquired some new brushes. 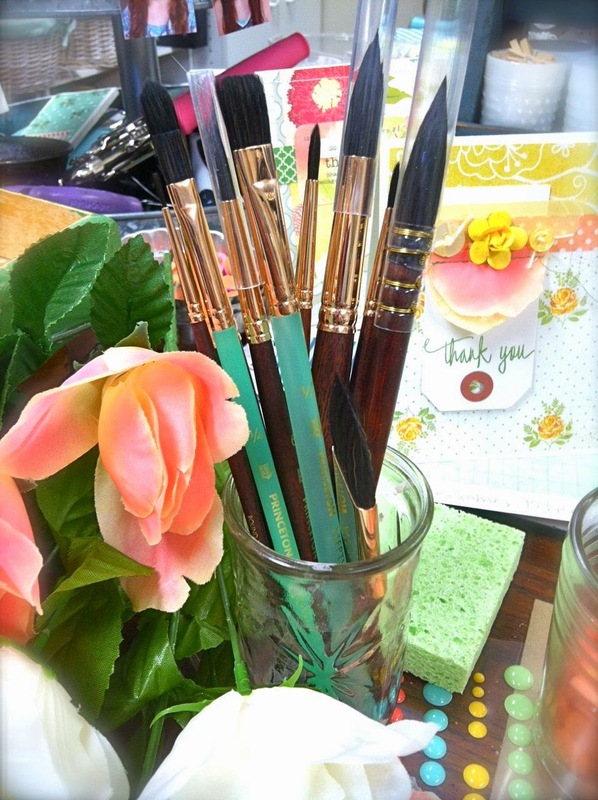 I'm testing them out and will giving a review of my favorite watercolor products here soon. 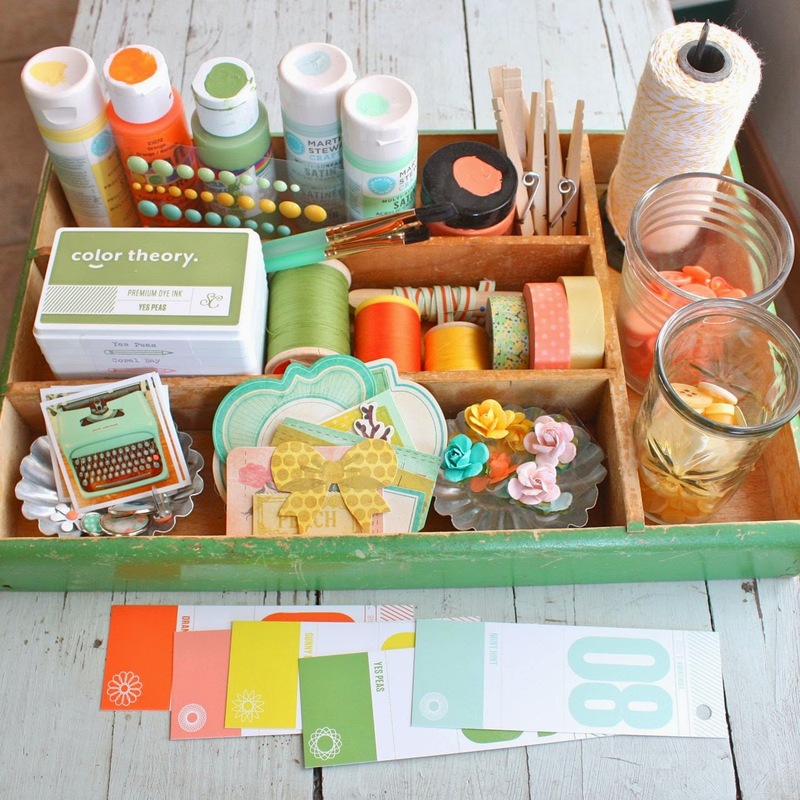 This fun color kit that I created for a class assignment has been seen lots of attention this week. 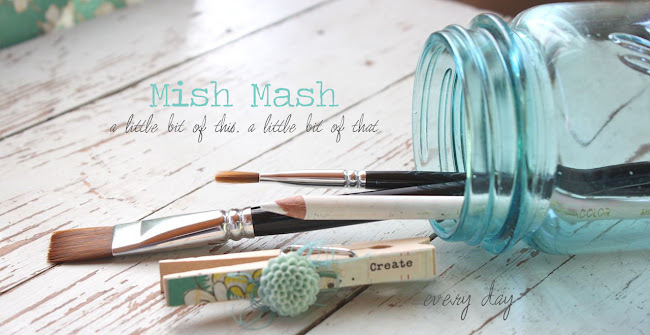 Creating a kit like this is a fun way to focus on just a few products from your stash at a time. These papers have all been cut into and are now scattered about my table. These are some of my favorites that I've been hoarding but I finally took the plunge and started using them. Here's a little something that came about from fiddling with my color kit. 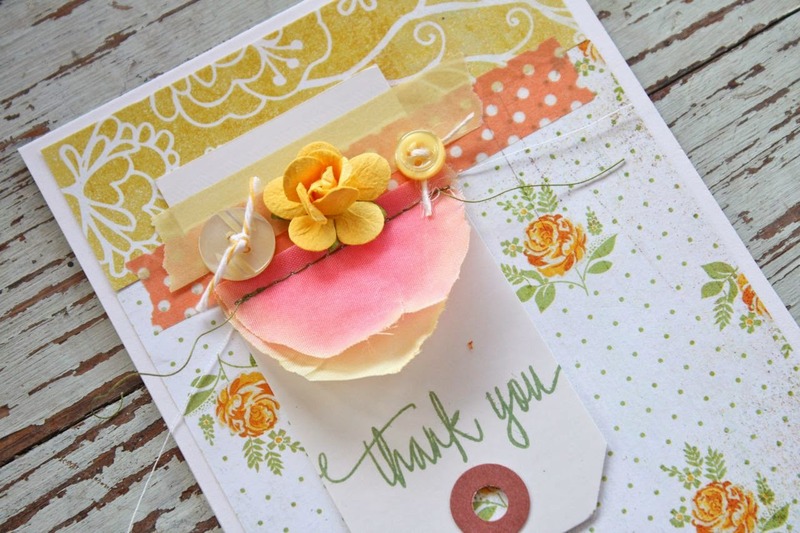 It's the little tidbits of Washi tape, buttons tied with twine, machine stitching, little flowers and stamping that all add so much detail to a card. I grabbed some Medium White Parcel Tags for easy sentiment placement. 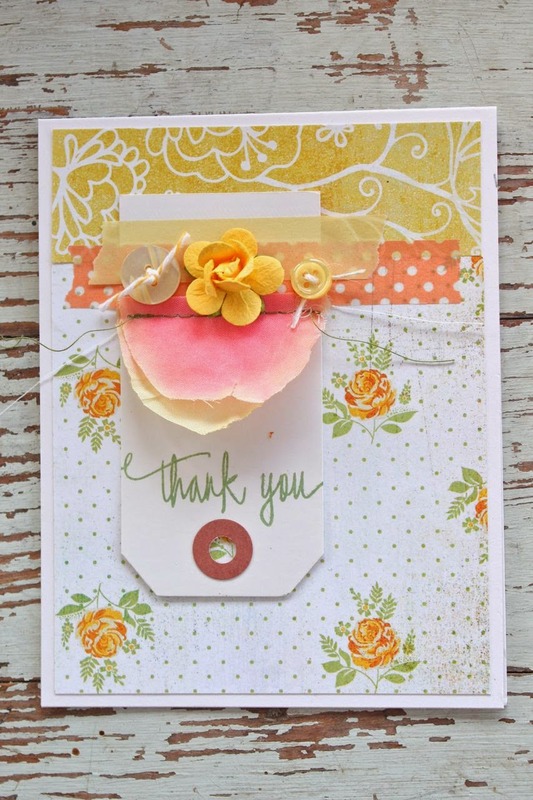 I'll be sharing how I used dollar store flower bundles on my cards in a future post. It's a new fun find that I'm loving lately. Thanks for stopping by today. 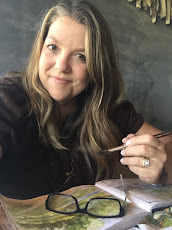 I'd love to hear what's on your work table that is inspiring you. Right now my table is covered with pieces of cricut creations with a 50s theme for my weekend getaway coming up this weekend! Yes, I'm a procrastinator and yes, I will still be finishing all of this late Thursday night! But, I'm loving the aqua blue, bright pink, black and white themes of my 50s style pieces. Fun stuff! :) Have a great day! I know exactly what you mean about just sitting in your space brings peace. My craft room is my retreat, my happy space. I just cleaned it up after the crazy holiday creating time and I put away my Valentine kit I had pulled together. I was wondering what lind of kit to put together next & was thrilled to see this post. 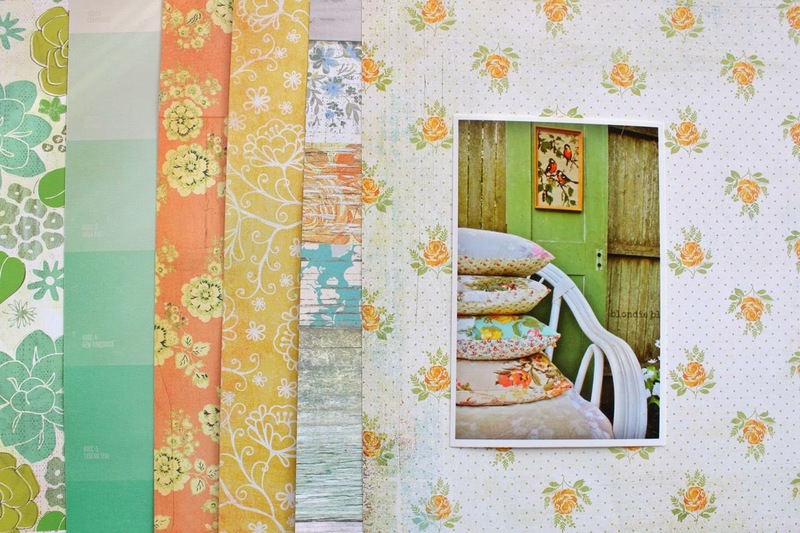 I came across some old Making Memories papers that I just love but have never used. Your color kit is just what I needed! The papers are the same color pallete as what you posted. So now I'm off to fill a kit based on that. Thanks for providing inspiration in while you are recovering from the recent events with your girls.